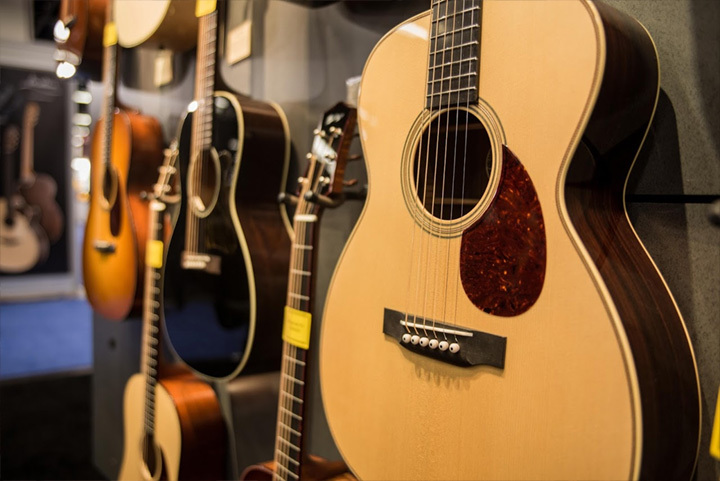 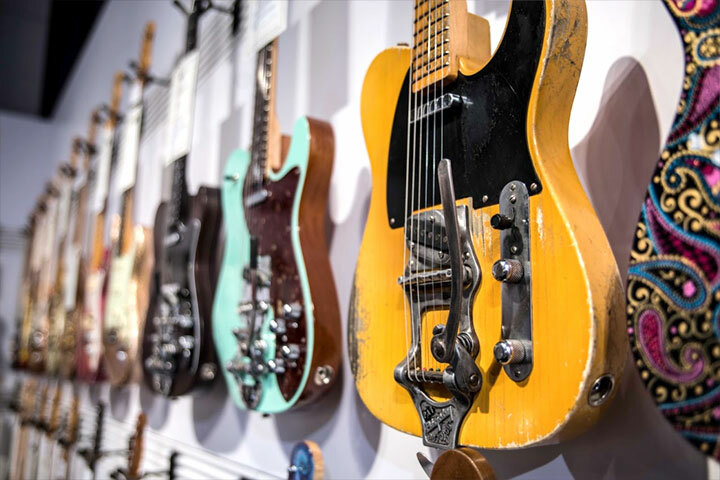 From the heavy hitters like Fender and Gibson to boutique favorites like Collings, everyone’s in town to trot out their newest creations. 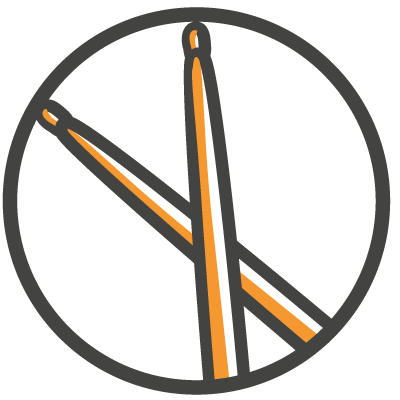 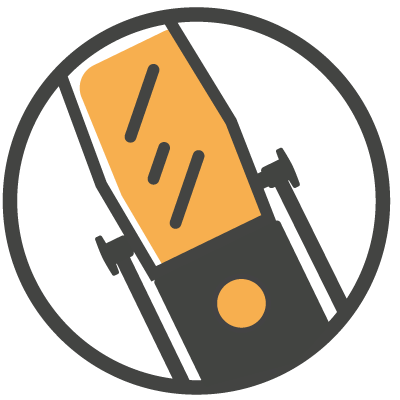 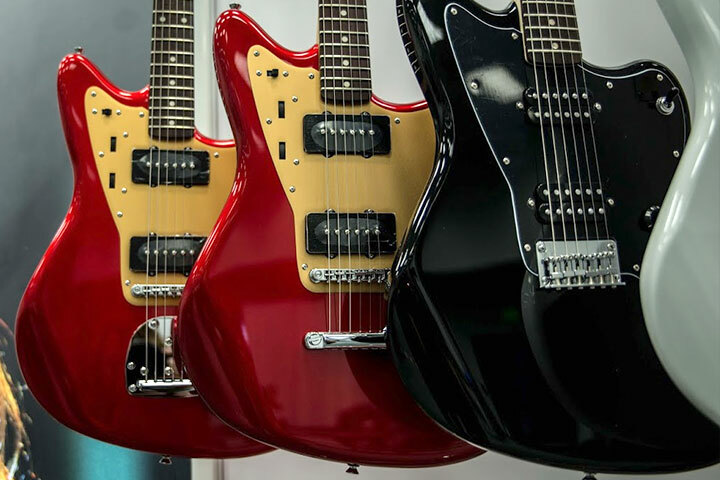 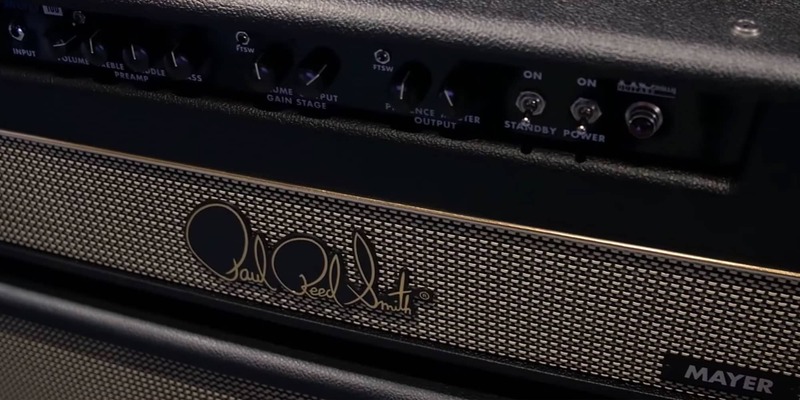 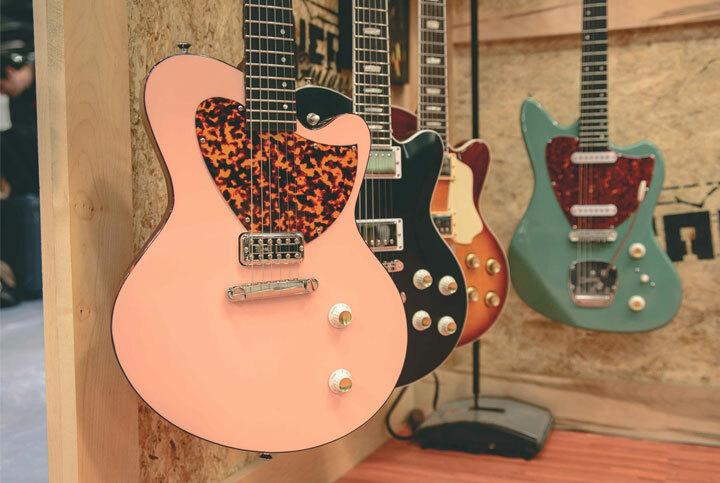 Stay abreast of all the latest news and reveals on guitars, basses, and amps right here. 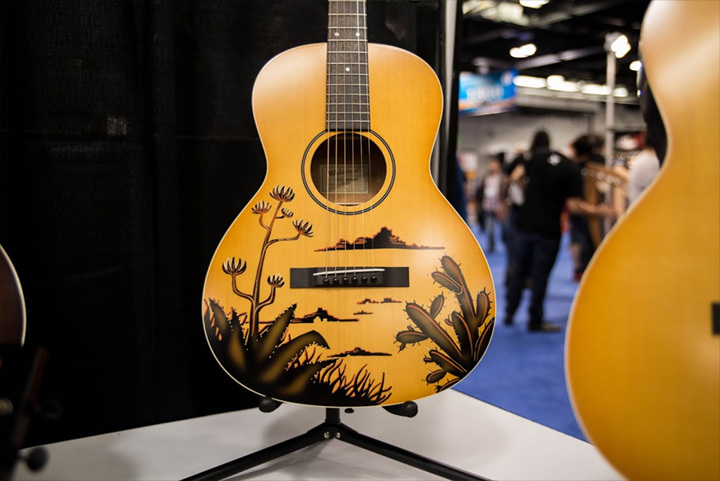 Jake Shimabukuro stopped by the Reverb NAMM 2017 booth to talk to Joe about his new signature Kamaka ukulele. 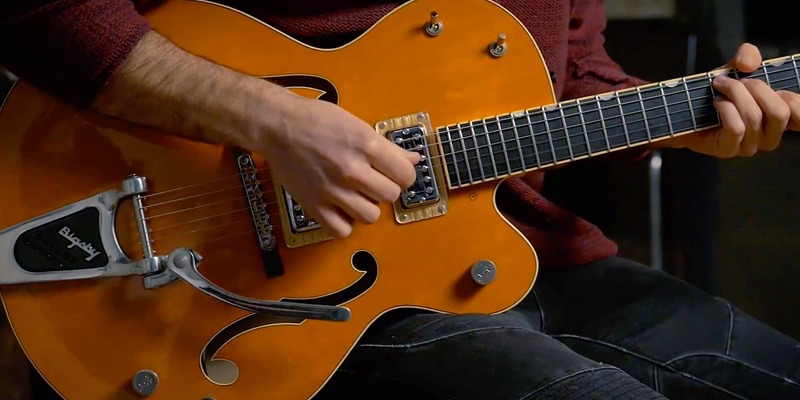 He talks about the importance of music to all of us, and plays a new rendition of the Beatles classic, 'Eleanor Rigby'. 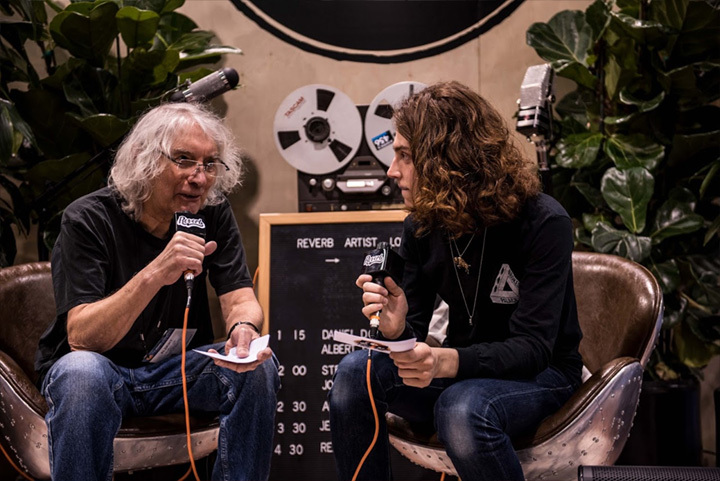 In an interview that crosses generations of guitarists, Albert Lee and Daniel Donato talk about guitars that got away, their first instruments and more at NAMM 2017. 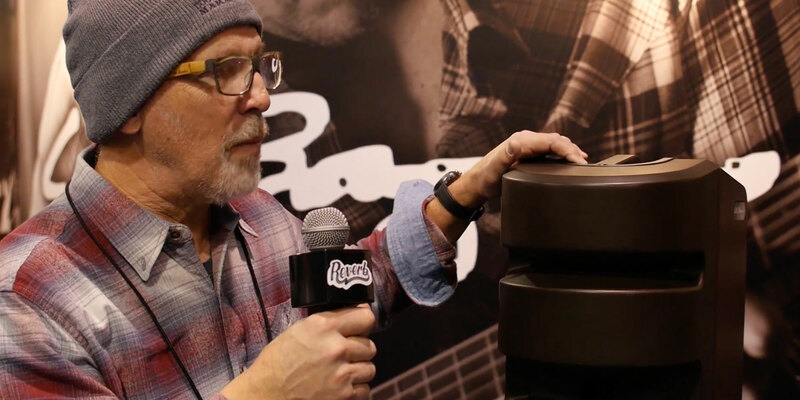 Butch Walker stopped by the Reverb booth at NAMM 2017 to talk about his new partnership with Yamaha, the ever changing role of the producer, and they types of projects he likes to work on. 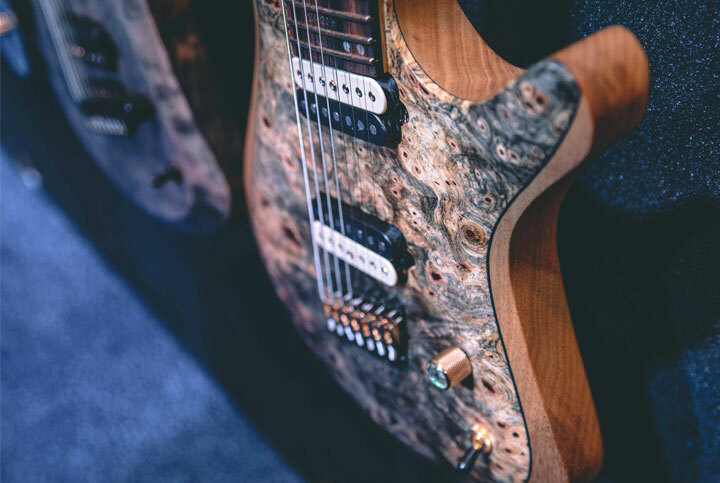 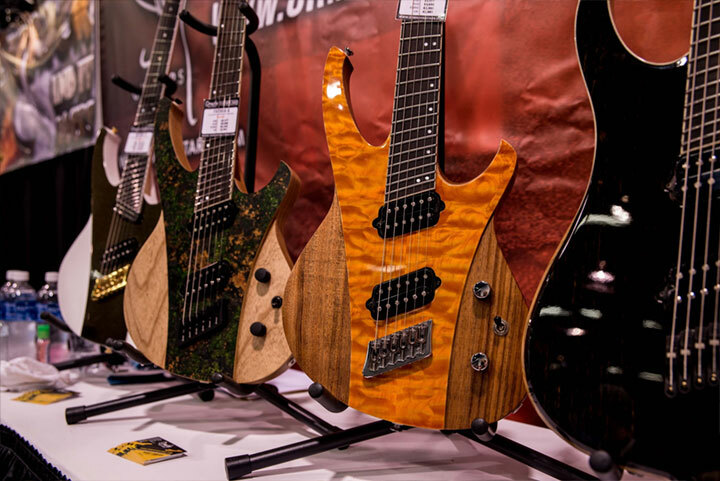 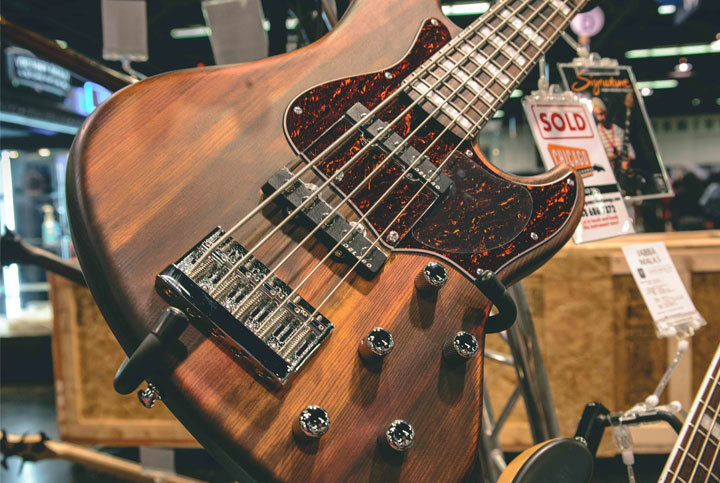 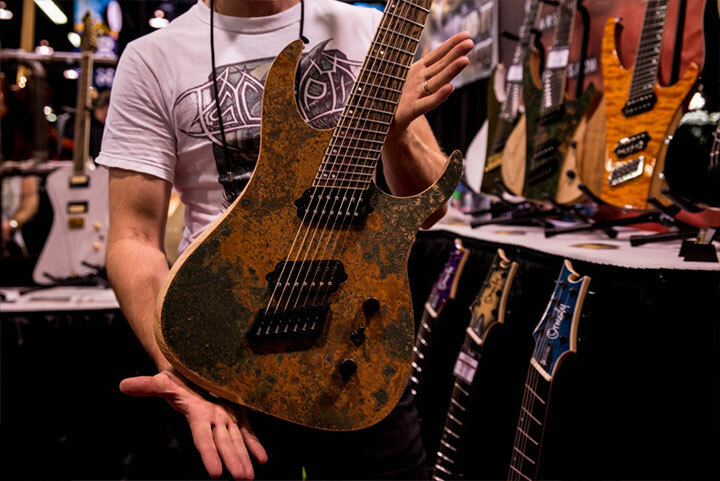 With fanned frets, super fast necks, and unmistakable panache, Ormsby guitars have earned a lot of buzz at NAMM this year. 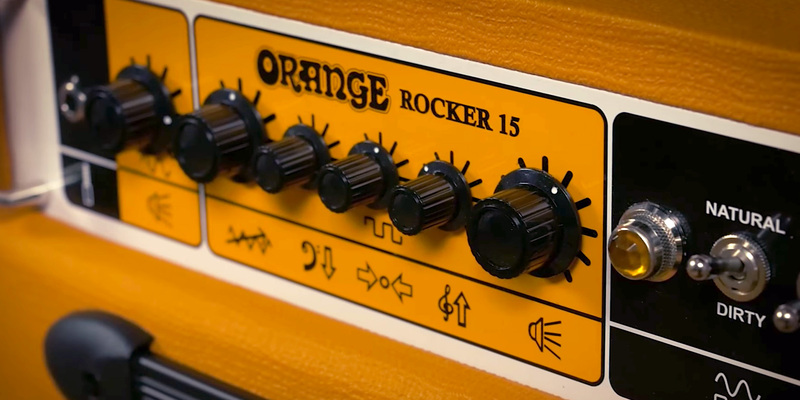 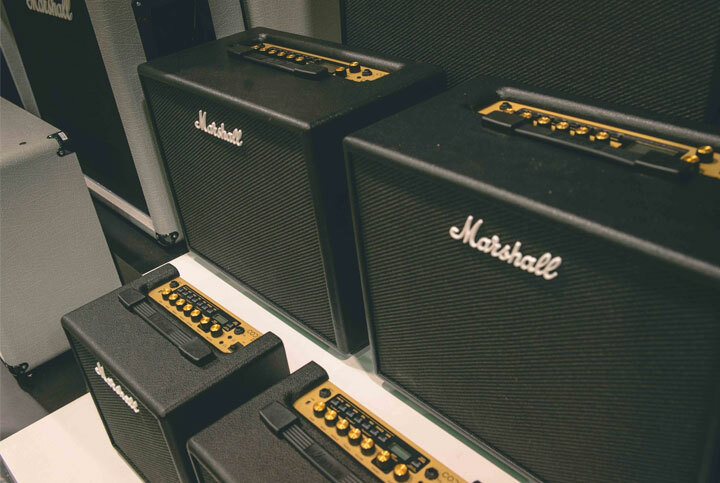 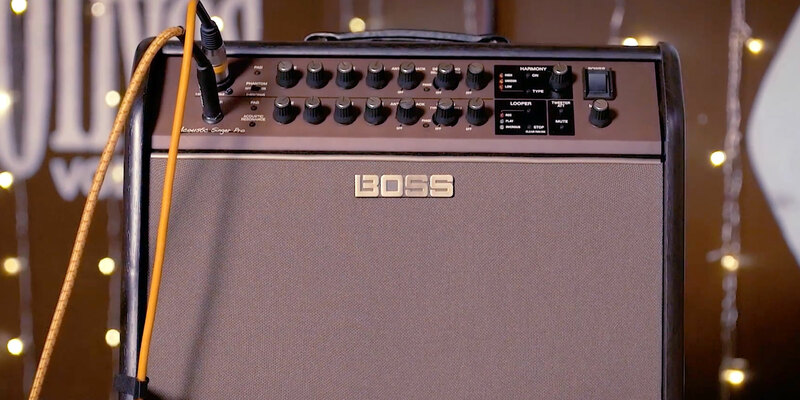 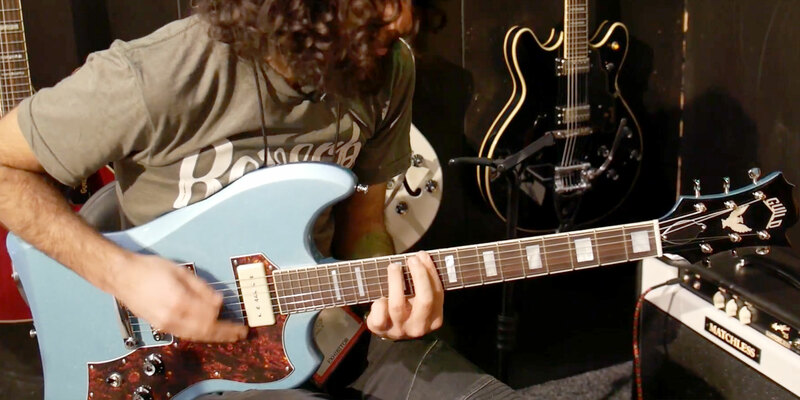 We were eager to get the skinny on these Aussie-made shredders at and hear how they sound in action. 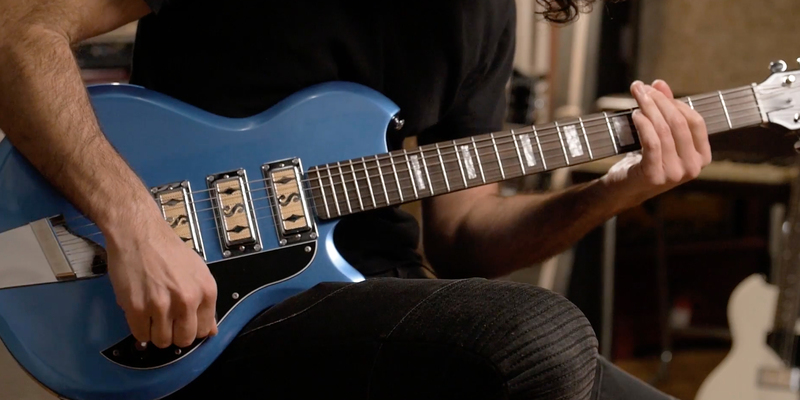 Watch the demo video above for a glance at the Ormsby Hypemachine and GTR models. 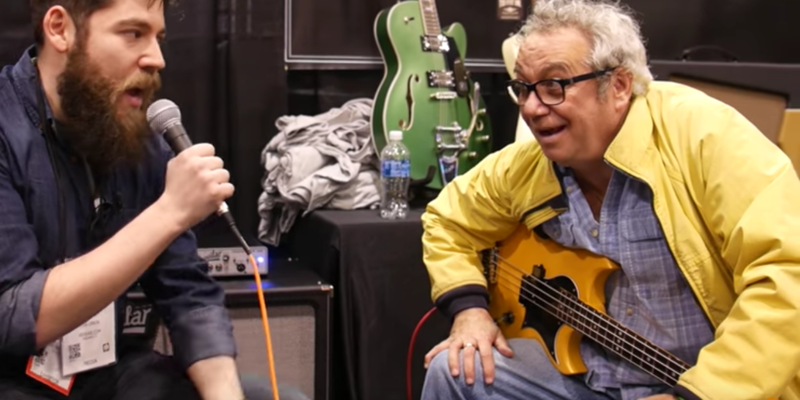 At NAMM 2017 Bryan Beller (The Aristocrats) and Mike Keneally (The Mike Keneally Band) geek out at the chance to interview Tony Levin (Peter Gabriel, King Crimson, Stick Man) at the Reverb booth. 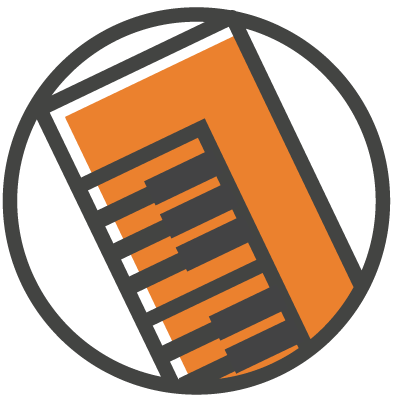 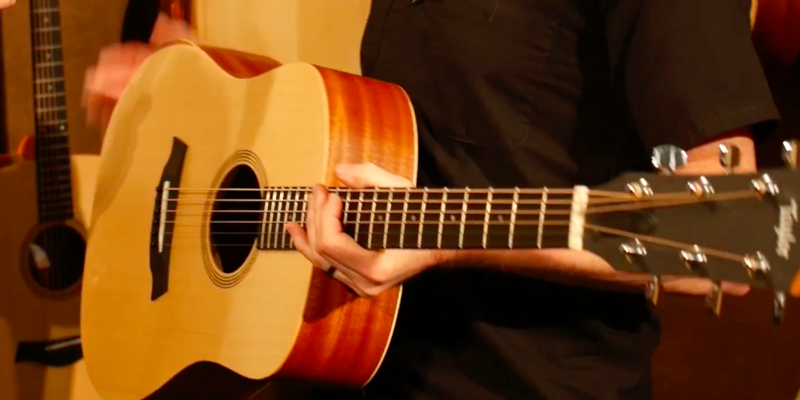 Listen to Tony and Mike harmonize' Frame by Frame' as they try to remember the lyrics. 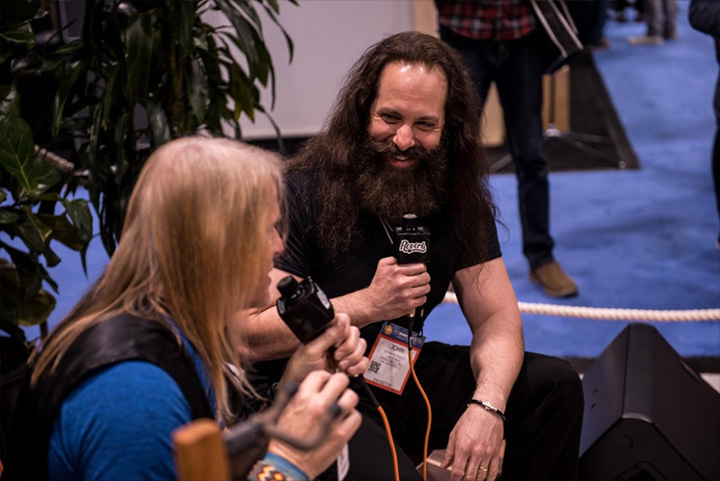 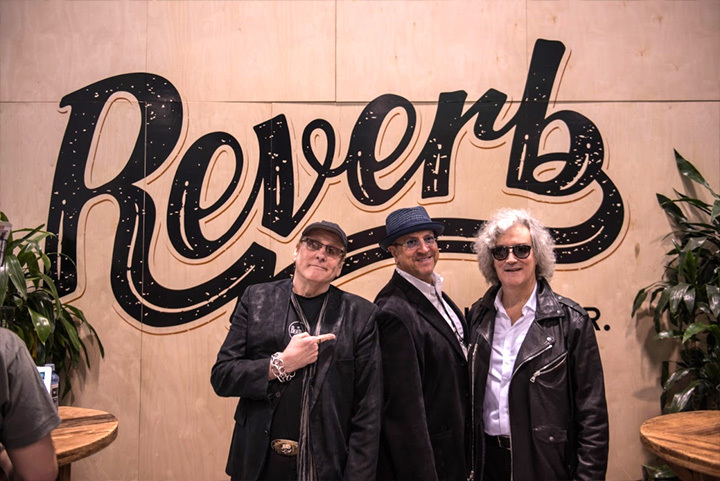 At NAMM 2017 celebrated guitarists John Petrucci (Dream Theater) and Steve Morse (Deep Purple) join us at the Reverb booth. 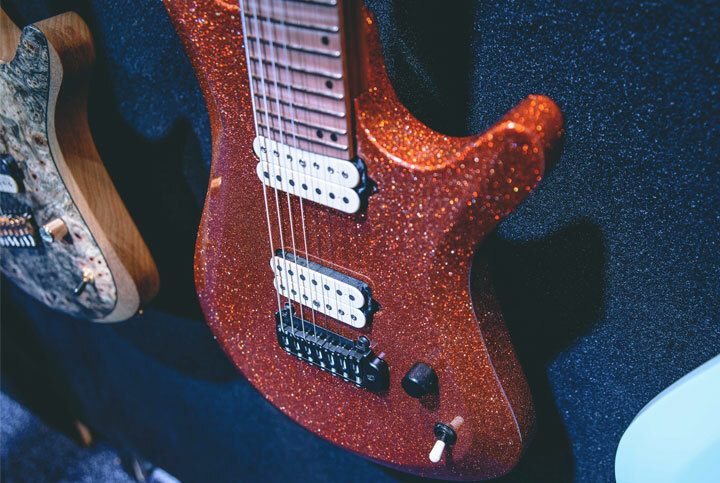 Petrucci and Morse talk about the importance of practice in becoming a great player, and how learning the guitar has changed in the Youtube era. 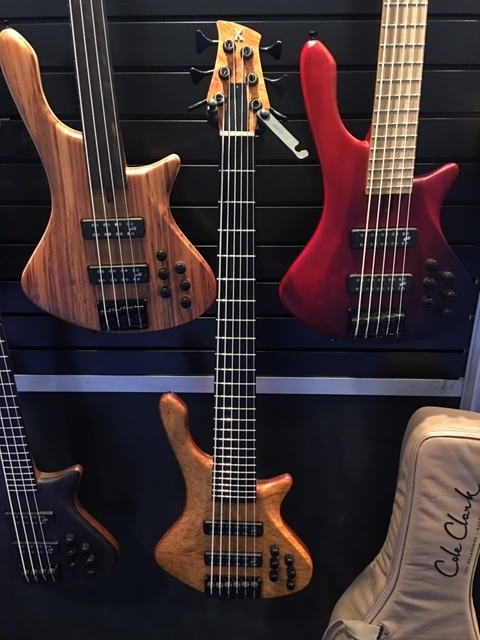 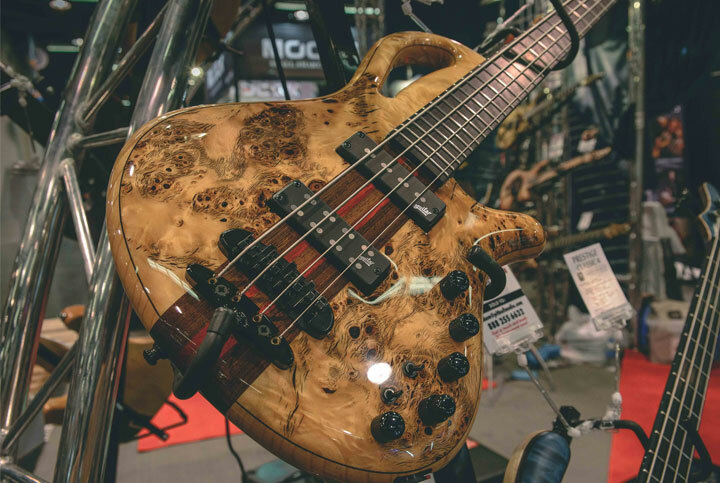 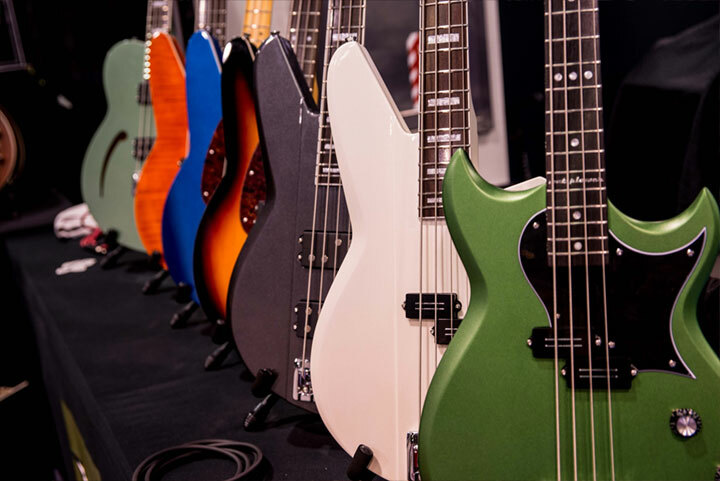 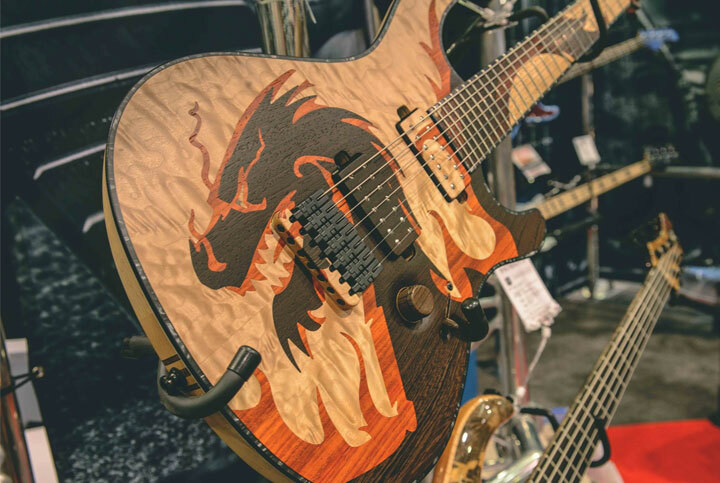 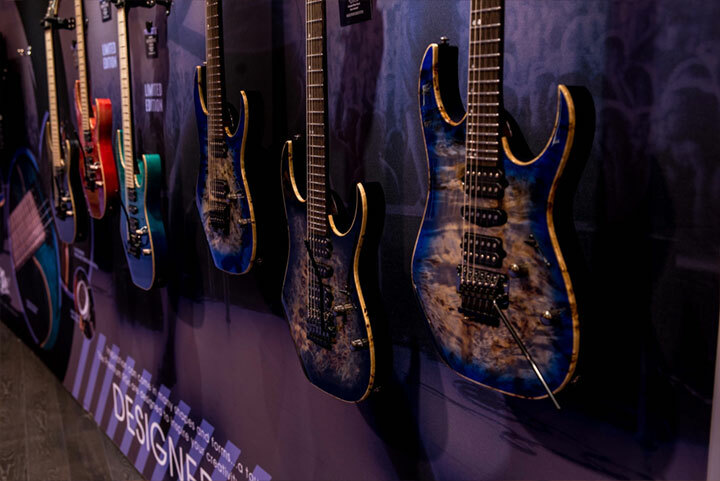 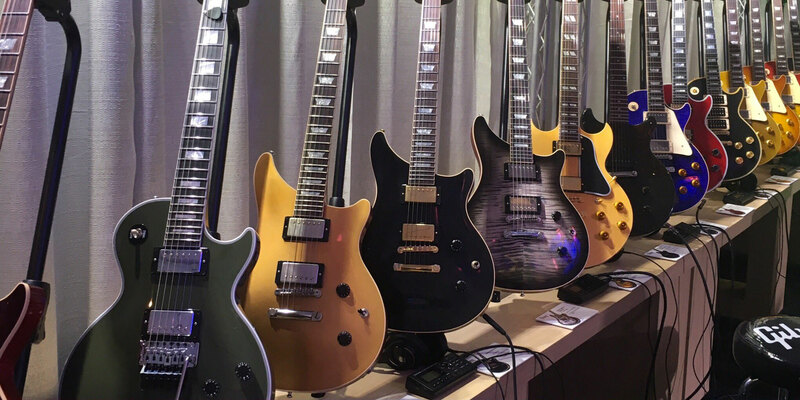 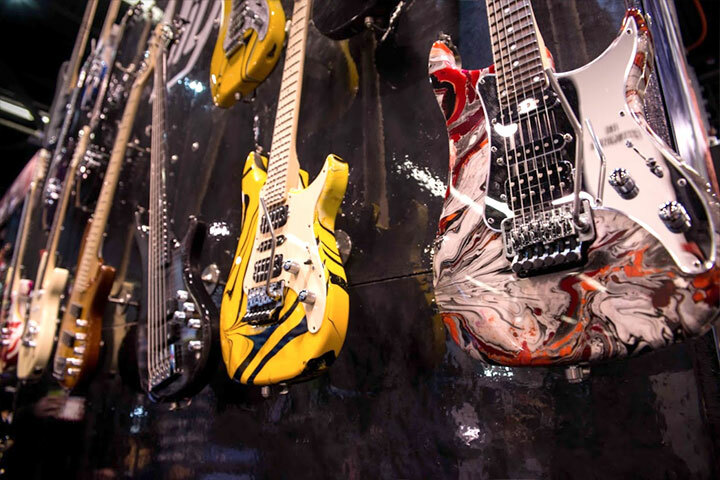 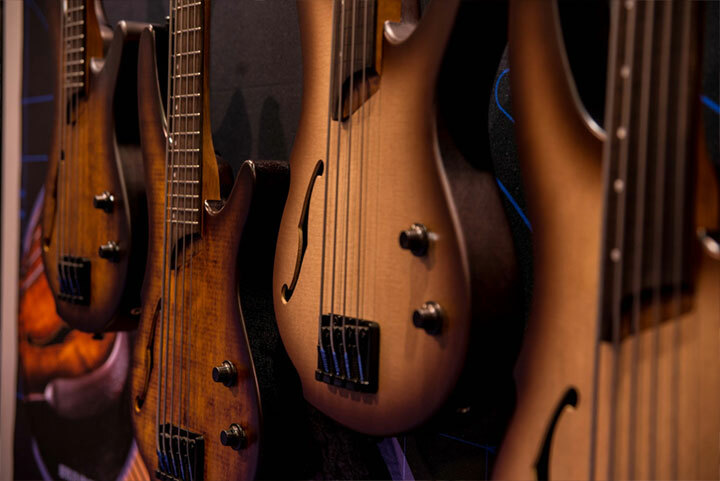 Ibanez has a stunning array of guitars and basses at every year's NAMM Show — they showed us a couple highlights this weekend. 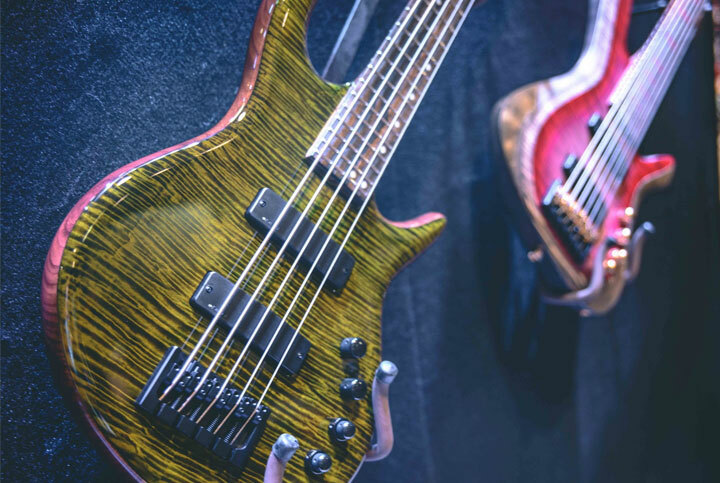 We checked out a 7-string hybrid fretted/fretless bass (actually a reissue, which is a fun bit of trivia), and then we took a look at their 30th anniversary Steve Vai JEM Signature guitar — a look back to the original 1987 JEM with a few modern upgrades. 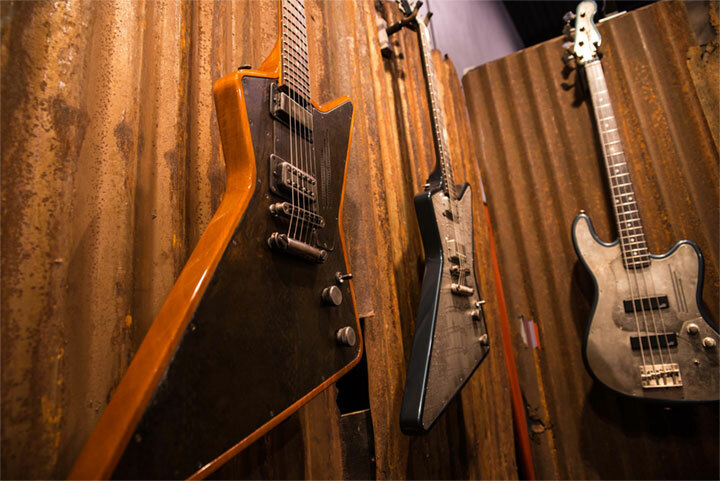 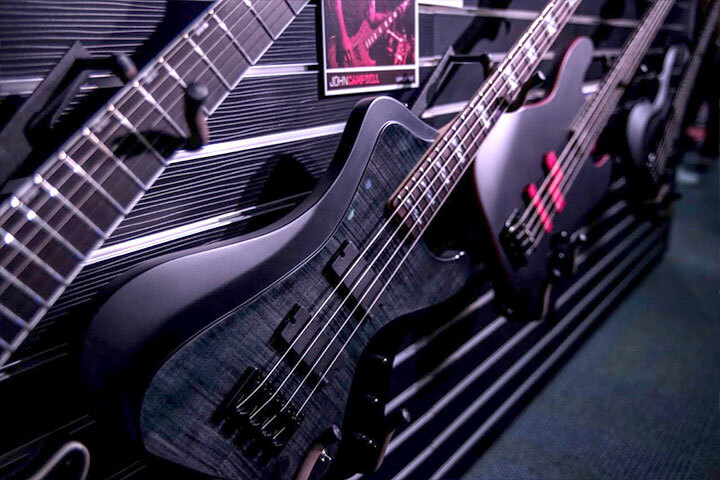 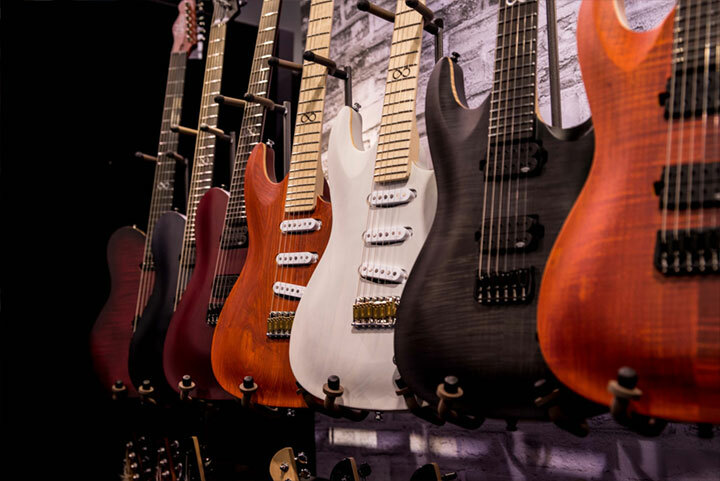 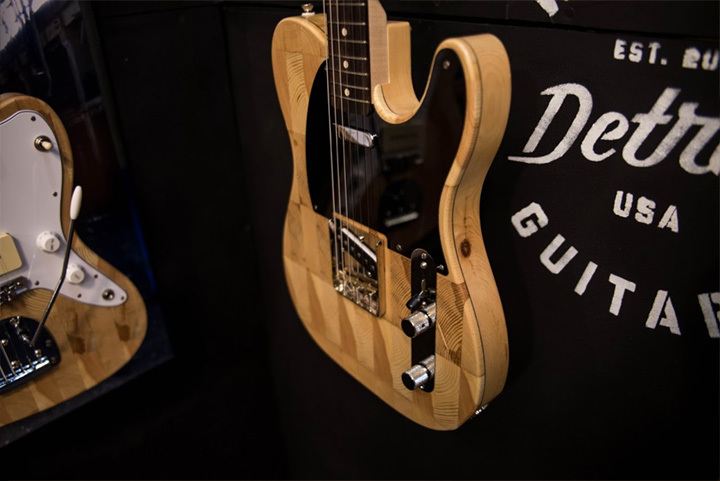 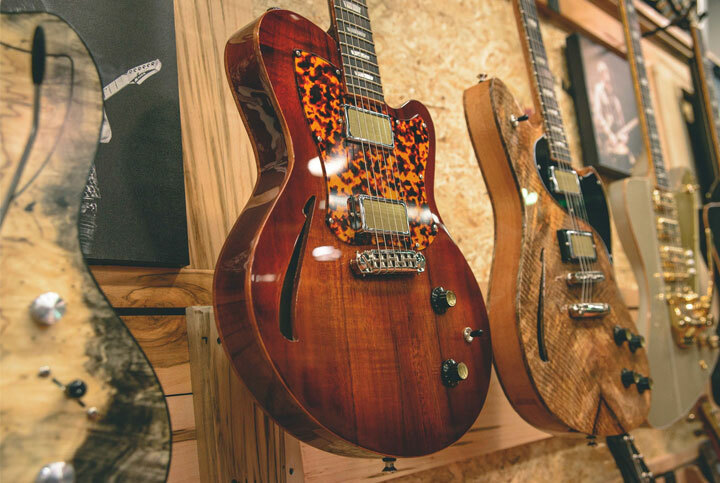 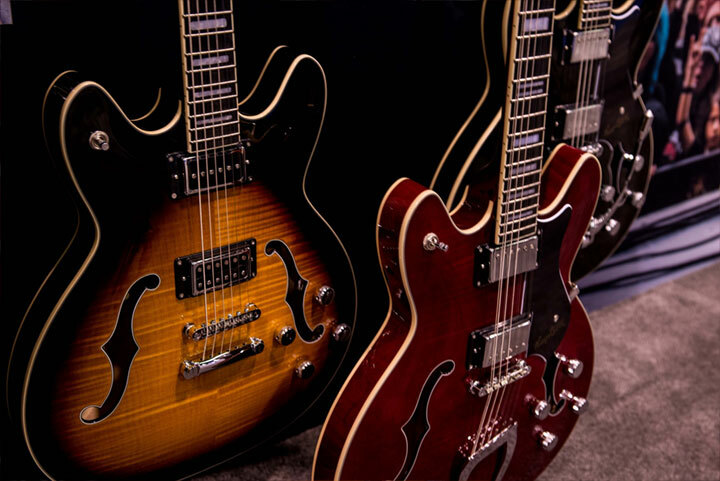 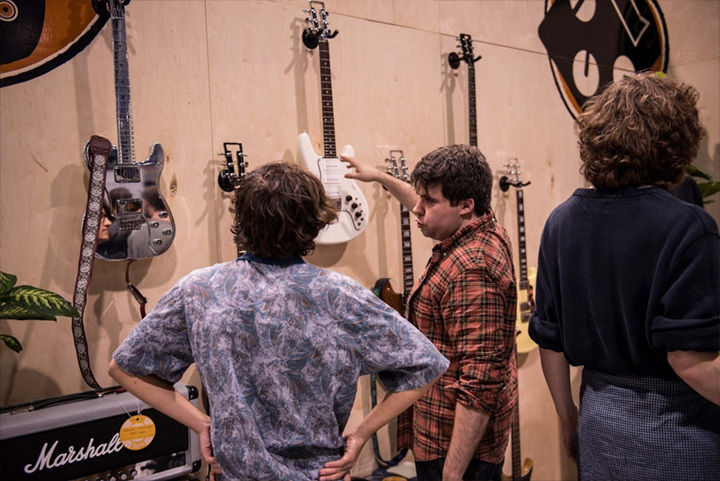 These guitars are handmade in the Netherlands and are on display at the Boutique Guitars Showcase. 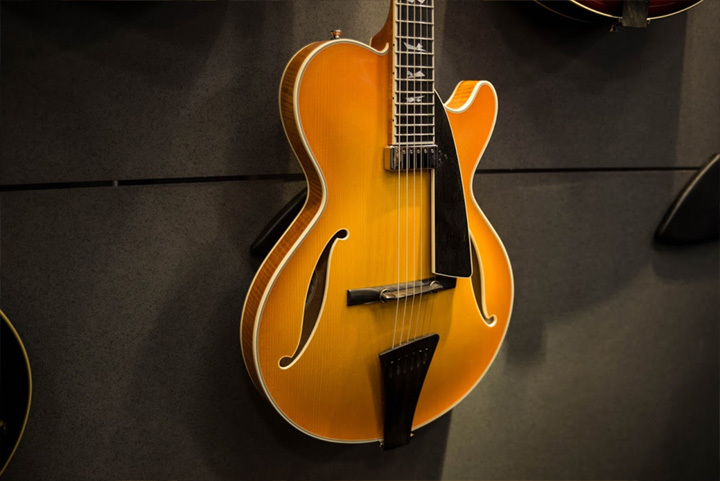 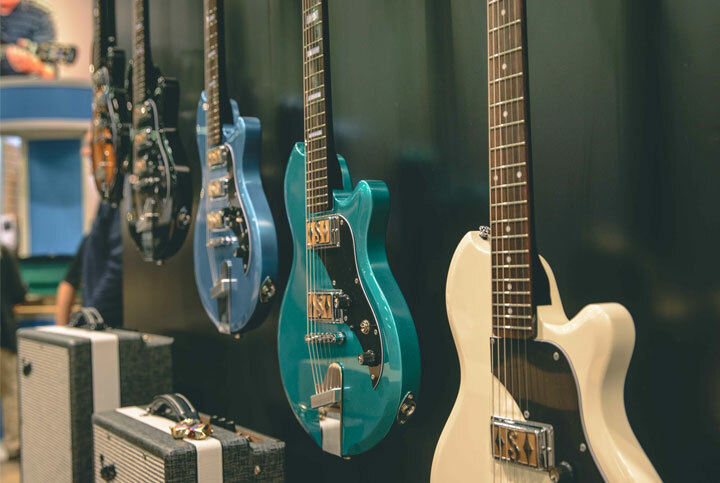 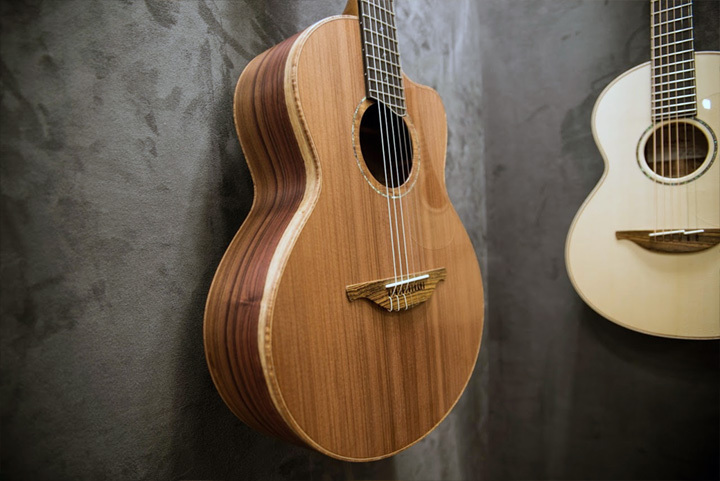 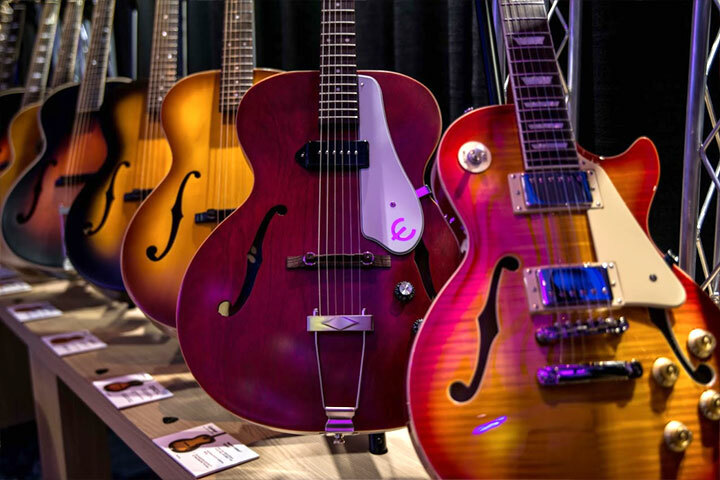 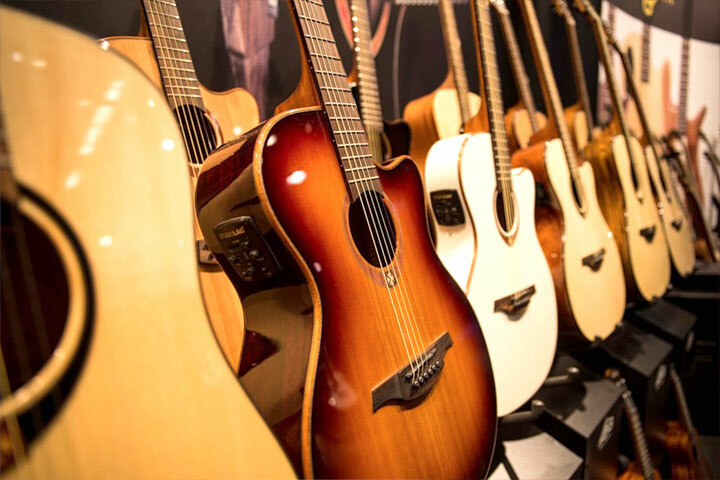 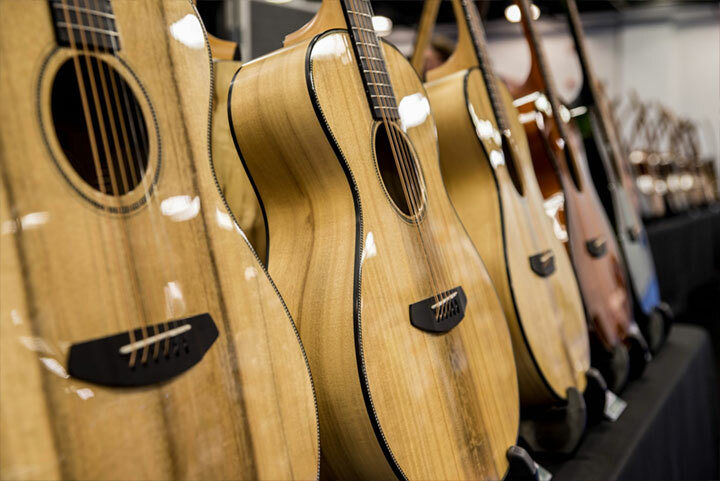 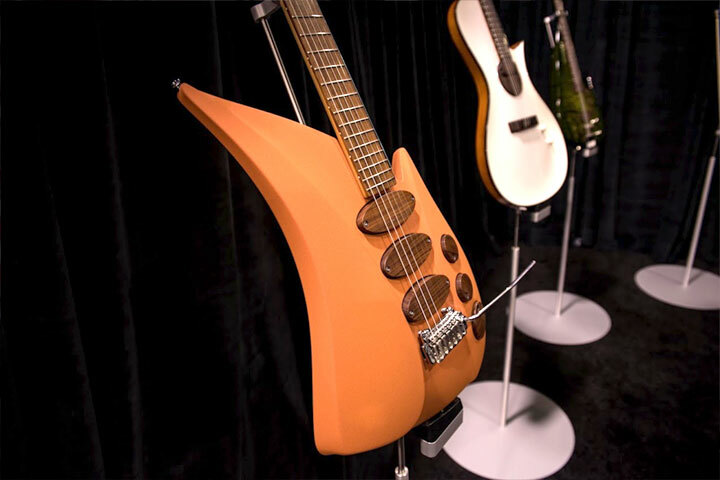 The Collings booth at this year's NAMM show featured the usual bevy of stunning high-end acoustic and electric guitars. 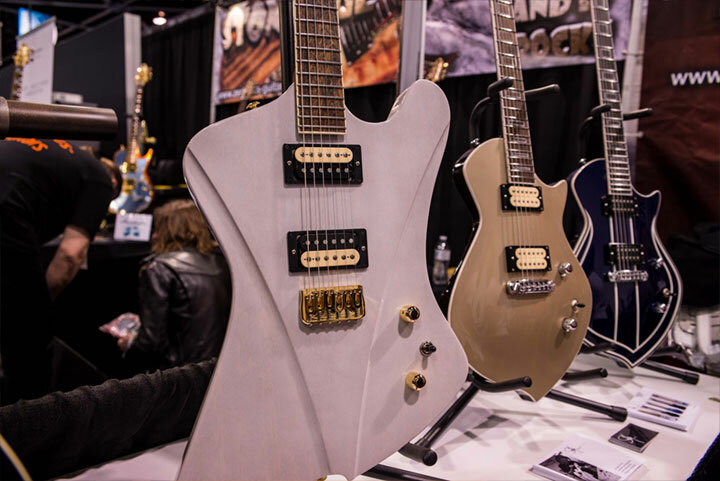 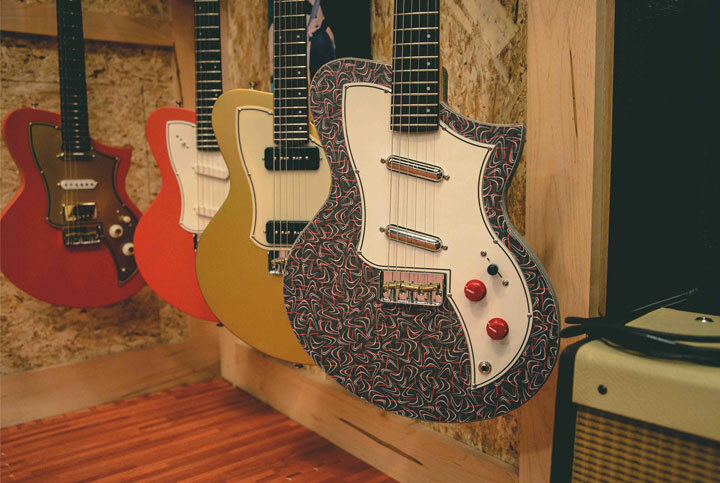 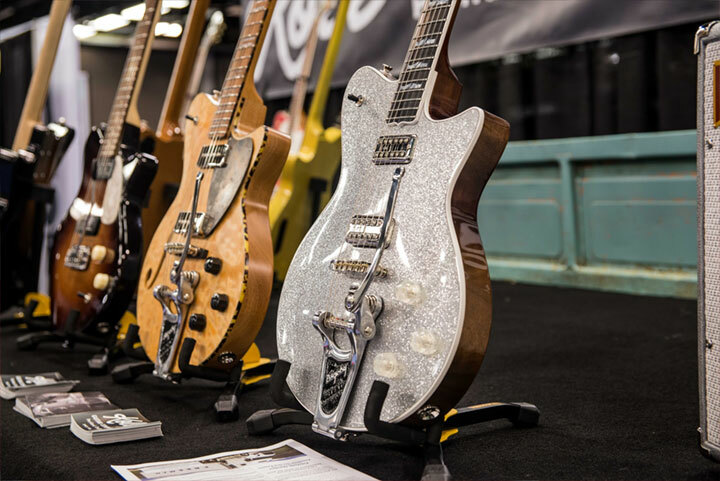 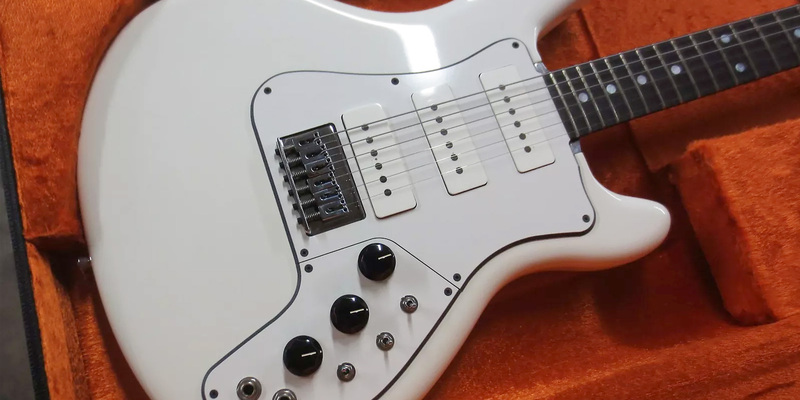 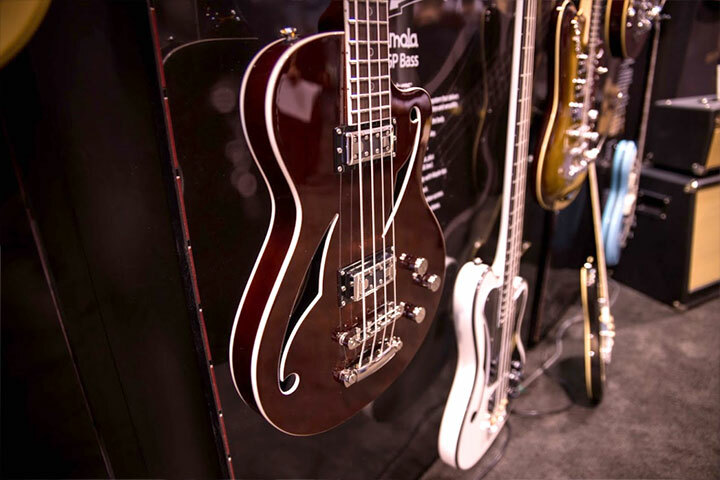 One model — a white 360 Baritone guitar — stood out as easily the most unique piece the Austin, TX maker brought to Anaheim. 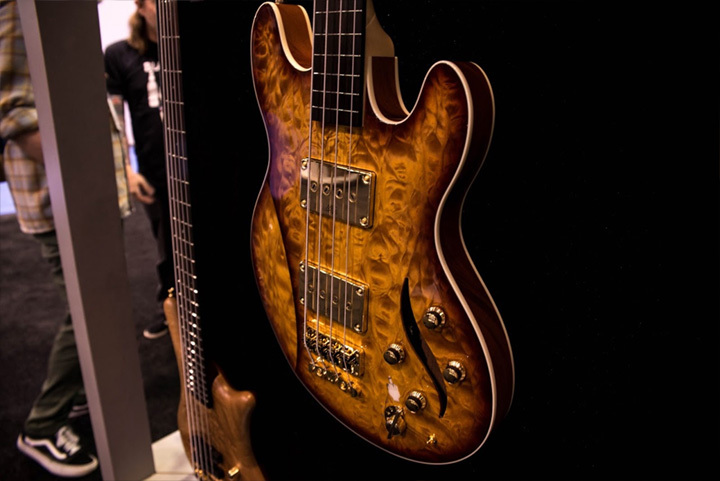 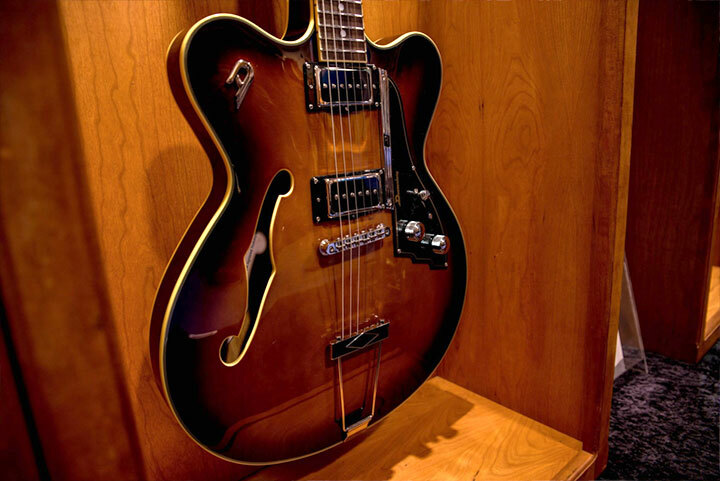 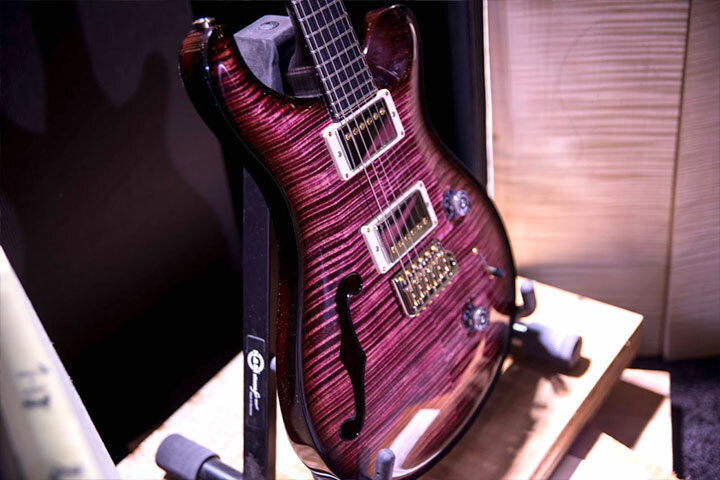 This is the company's first Baritone model and includes a Mastery tremolo system. 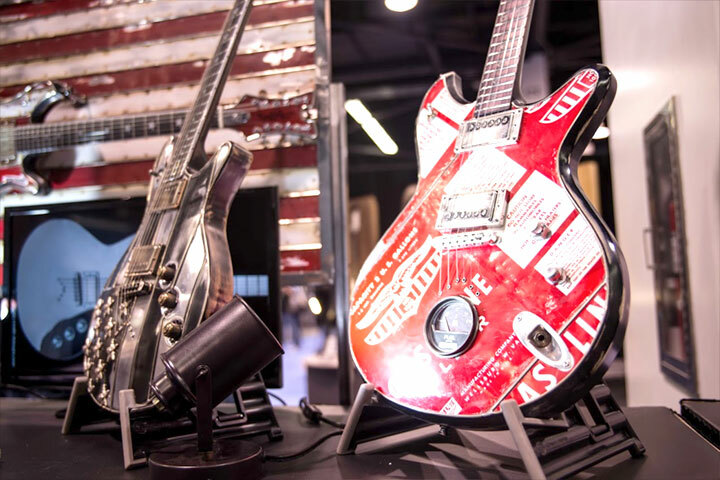 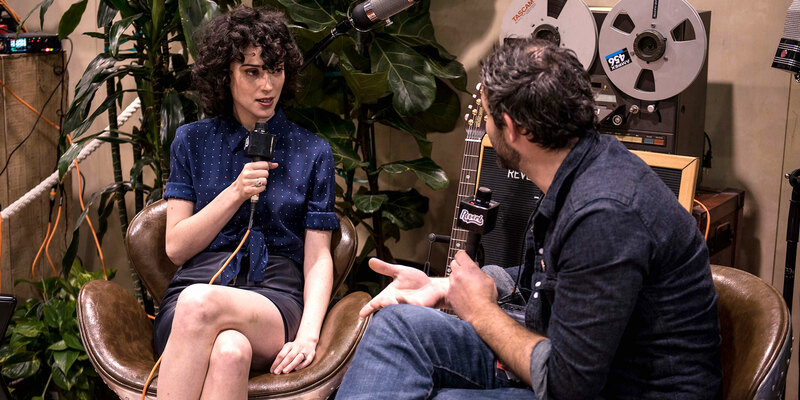 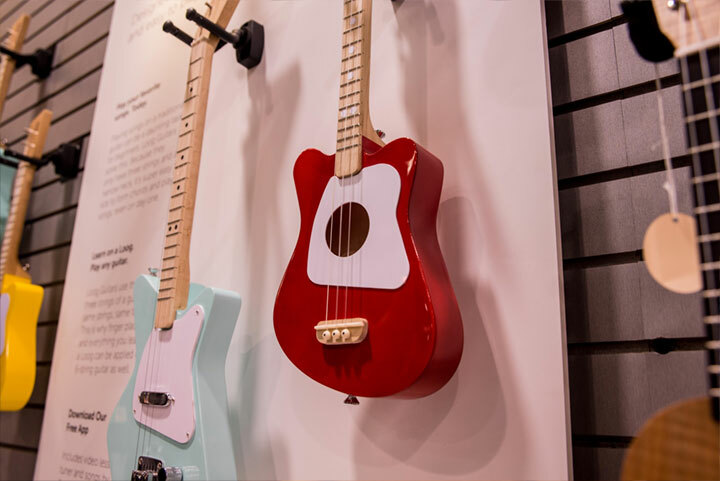 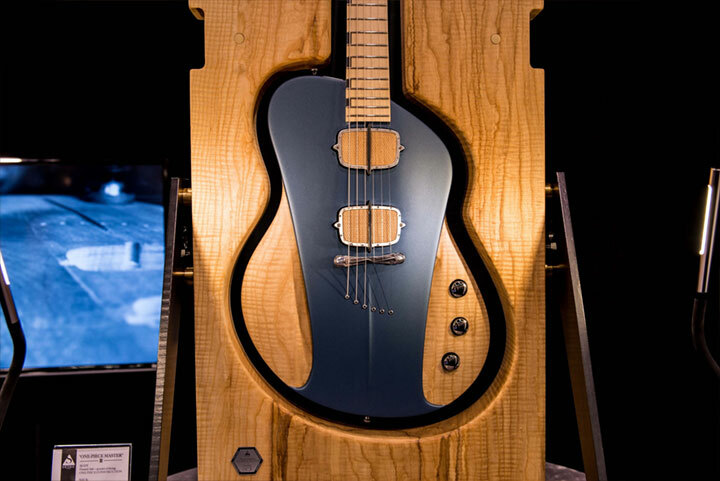 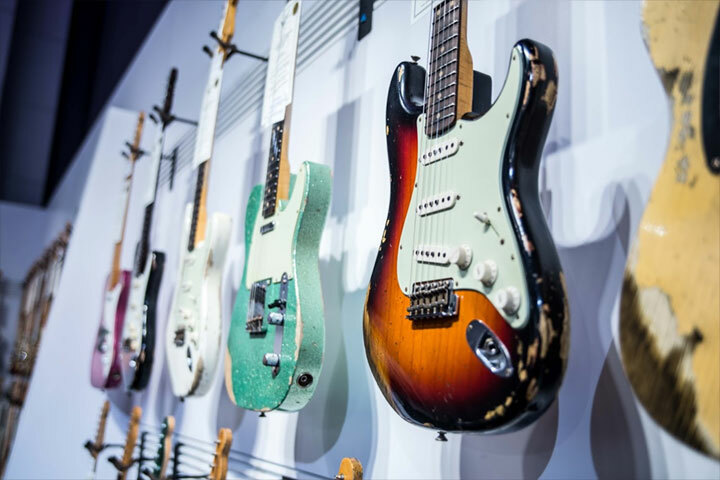 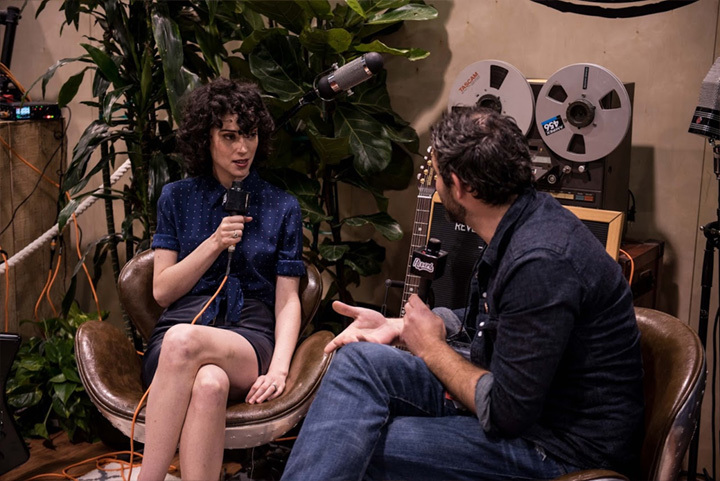 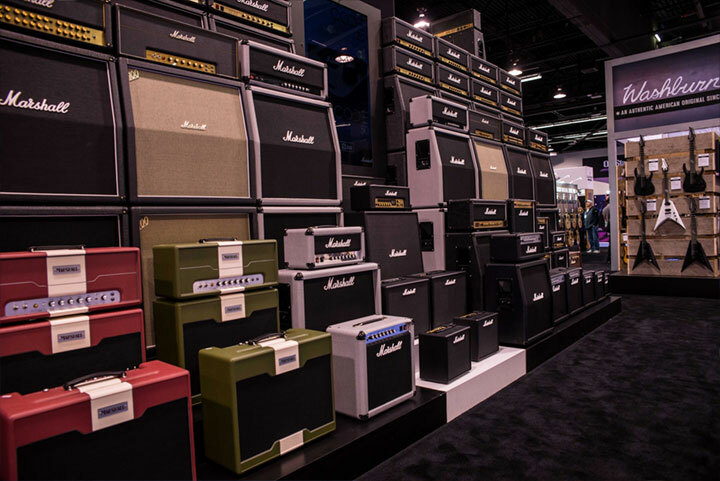 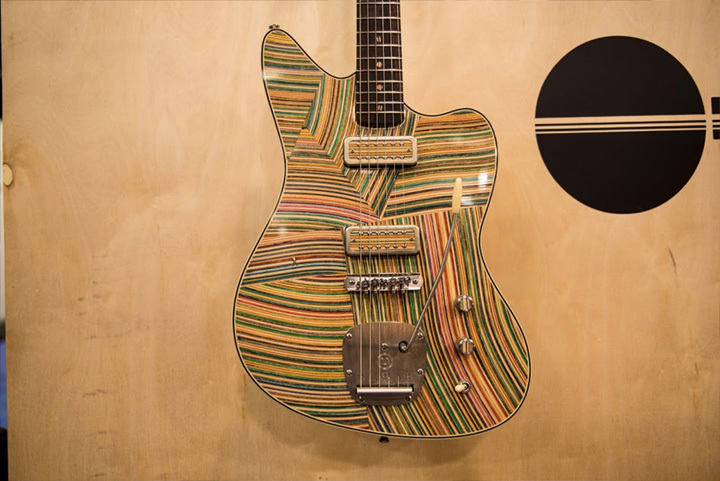 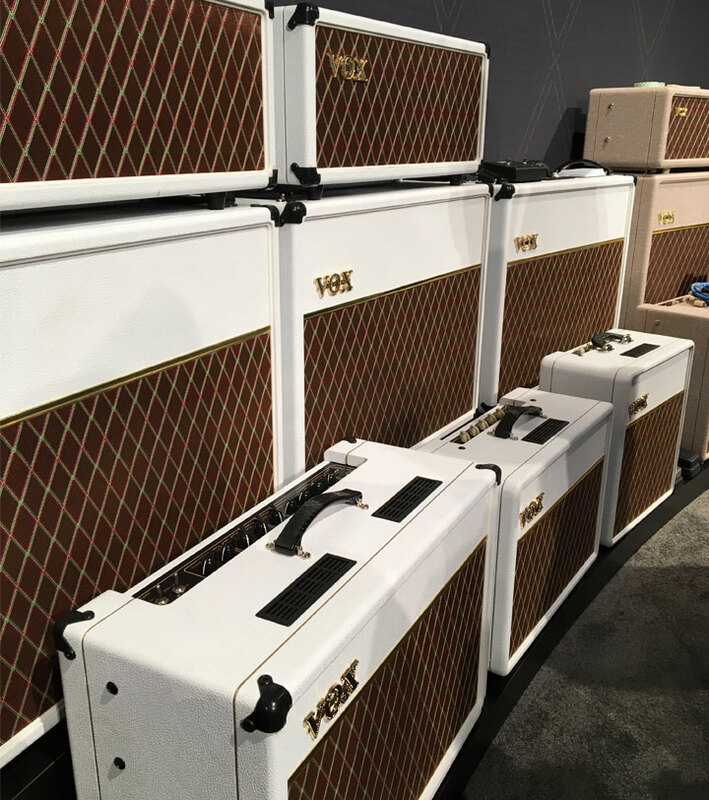 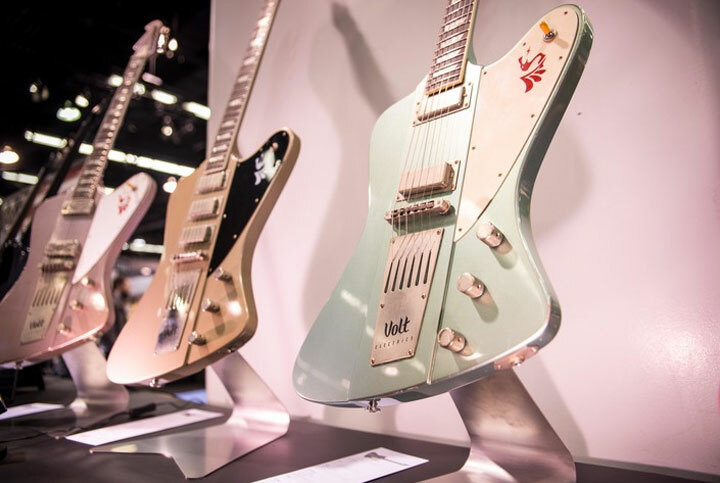 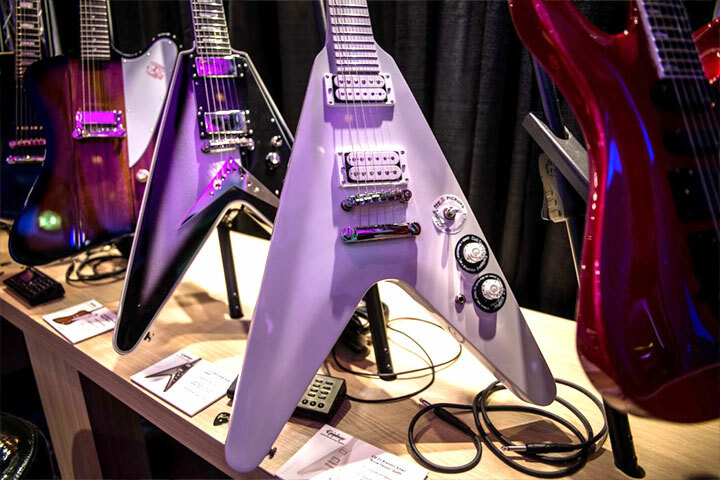 The Fender Custom Shop pulled out all the stops for NAMM this year in celebration of their 30th anniversary. 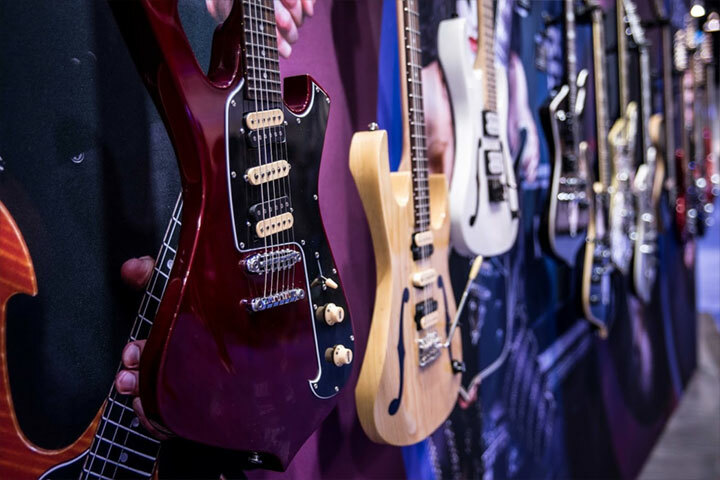 Join Joe as he surveys some of the most wild and crazy Fenders on display at NAMM 2017. 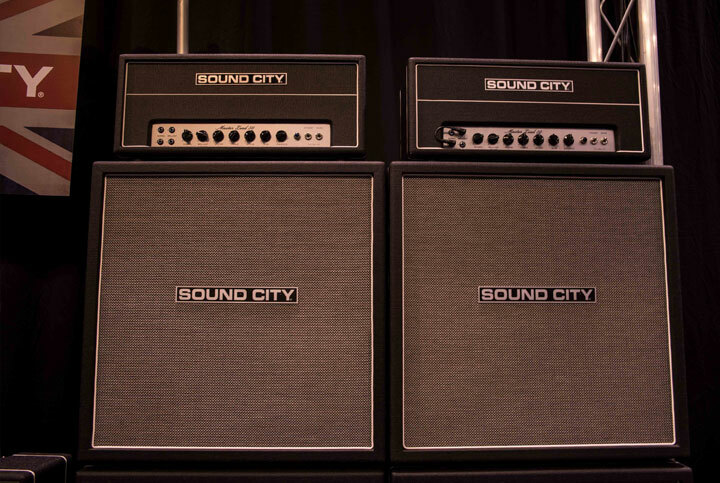 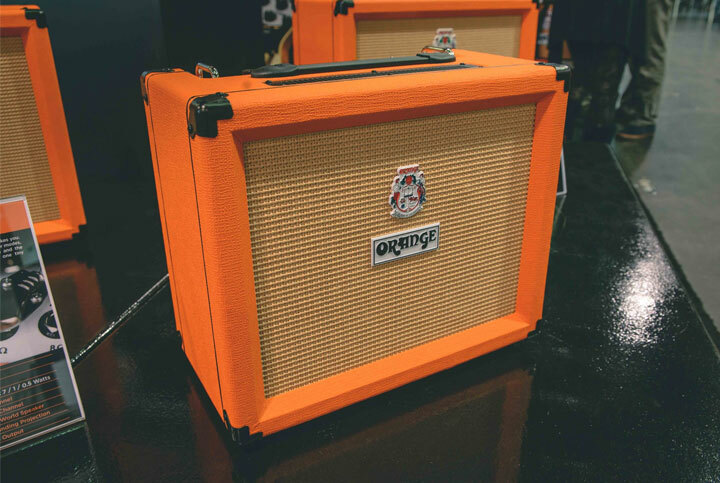 The LT-ECHO 10 and LT-ECHO 15 are both two-channel practice amps for beginner-level guitarists. 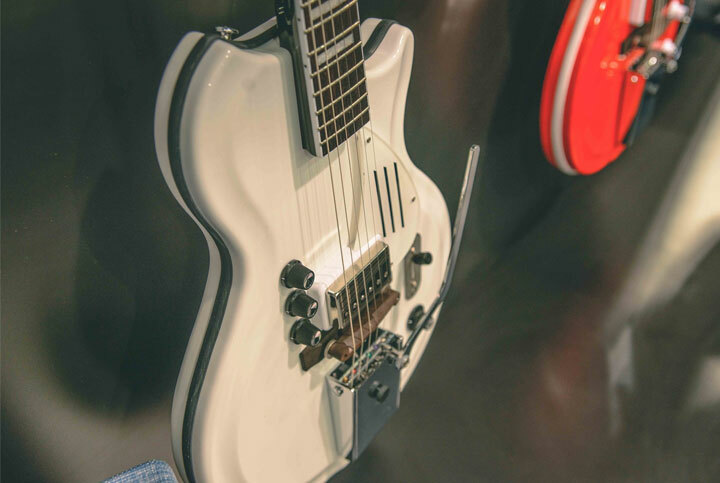 They feature patented ISF and a built-in digital tape delay effect. 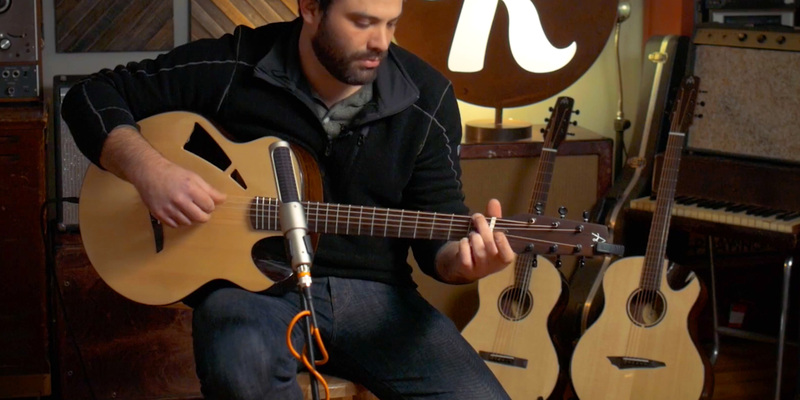 The Recording King Dirty 30's Series 7 Single O Acoustic Guitar is part of Recording King's new Dirty 30's line of affordable acoustics. 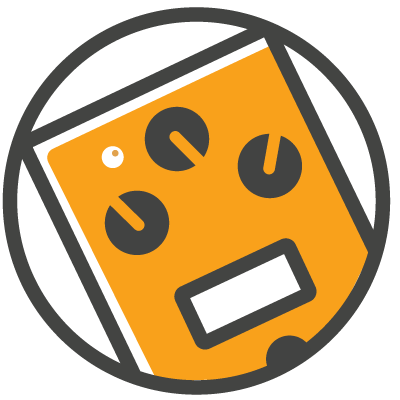 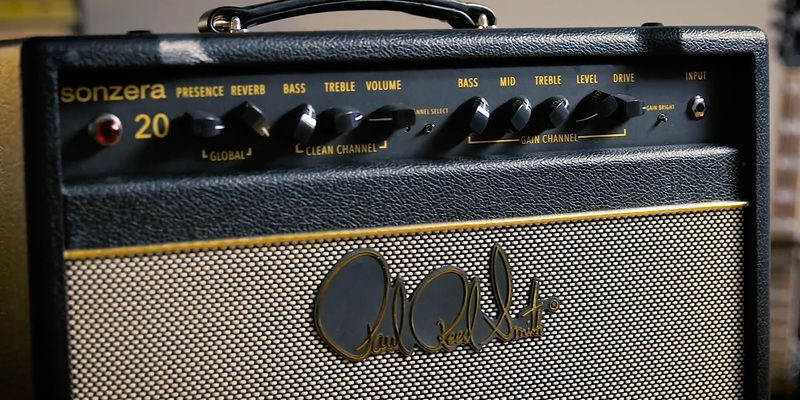 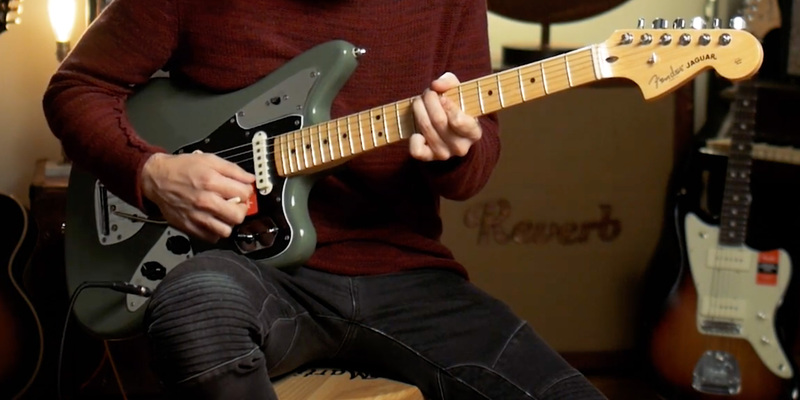 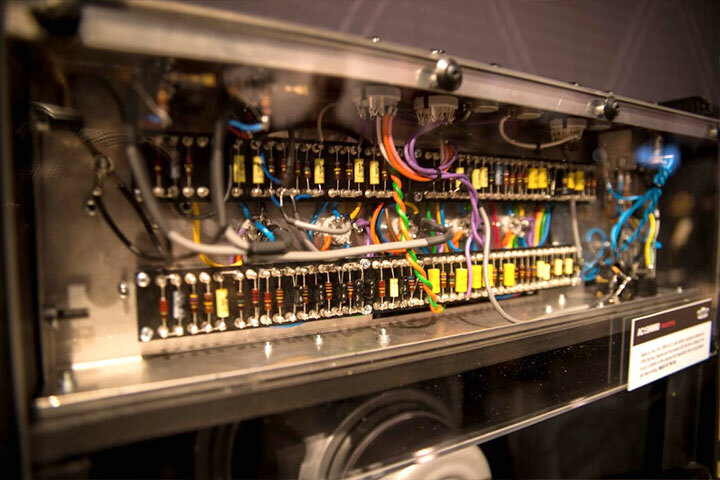 In this demo we take you through some of the sounds you can get from the Series 7 Single O.